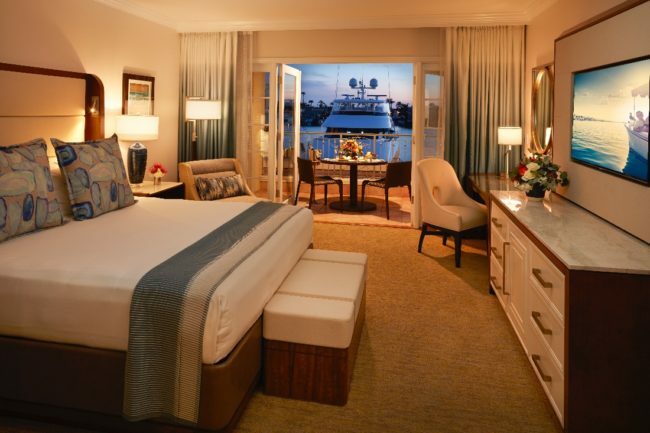 Mega yachts and exclusive waterfront real estate don’t always mix well with kids, but they do at Balboa Bay Resort. 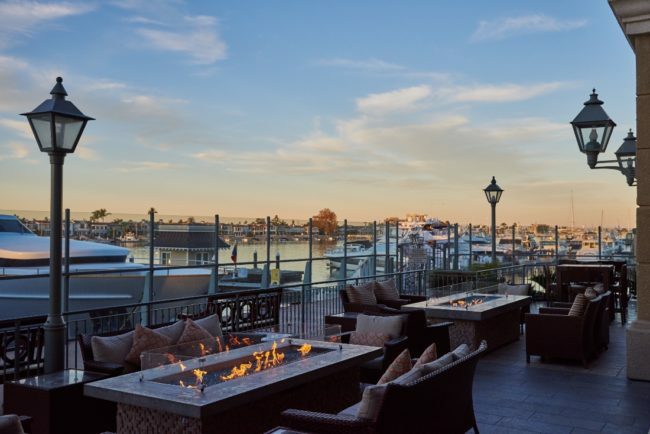 The resort stretches across fifteen prime acres on the Newport Bay and is the only luxury resort on the waterfront. A home around the corner is on the market for 24 million, so basically, you get a 24 million dollar view, with room service. And, they like kids. 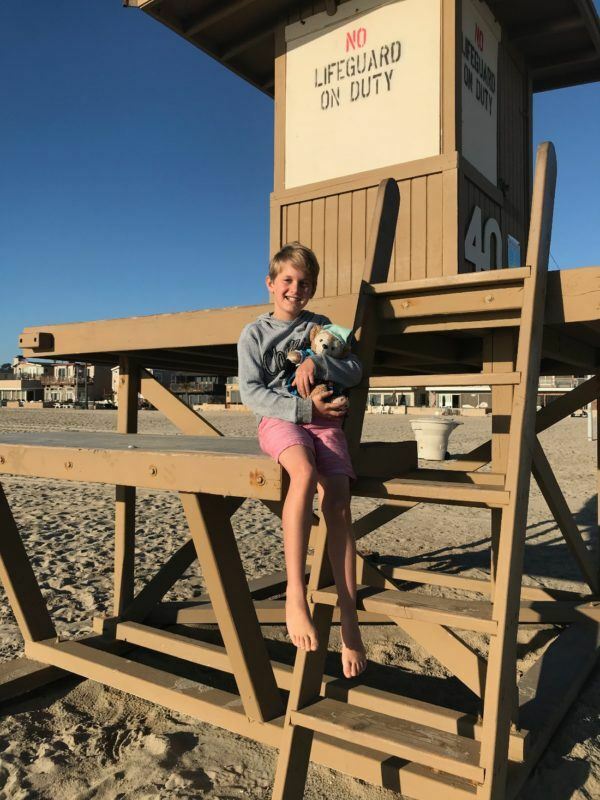 If you’re not familiar with Newport Beach it’s 50 miles south of Los Angeles and 85 miles north of San Diego, and yes, the OC Housewives live here. Who wouldn’t want to live there when the temperatures hover between 65 and 75 degrees all year? We’ve stayed at this hotel three different times recently, with Keaton, with Macie and then Mr. LTM went on his own last week. For anyone visiting Newport Beach, this is my one and only hotel recommendation. 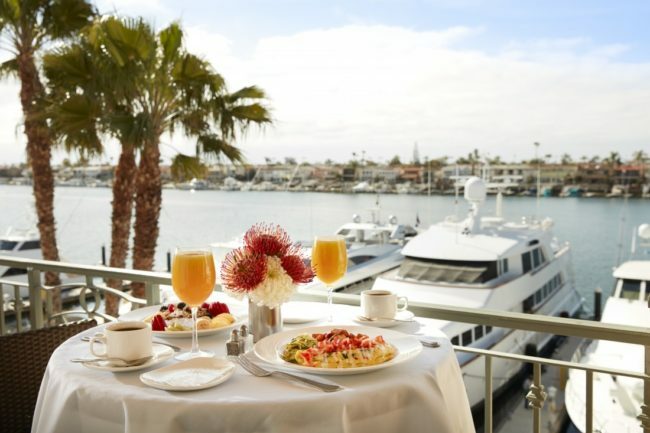 Balboa Bay Resort is the only four star hotel on the water in Newport. They have fifteen acres of what is arguably some of the most expensive real estate in the world. If you just searched online you might miss it, it’s less expensive than other hotels in the area (which makes no sense to me) and is superior in every way. 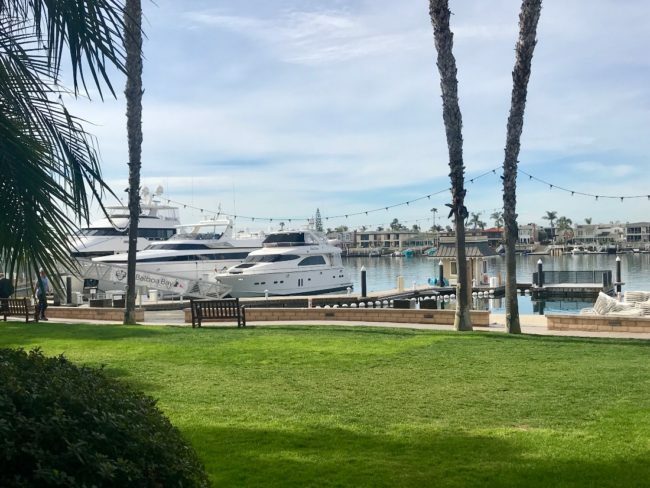 My favorite fun fact is that there are giant yachts parked at the resort marina, not because the owners don’t have a dock in front of their own homes, but because the yachts are so large that they obscure the owner’s water view. Same Newport, same. Tucked on the back side of the hotel away from the water the pool has just been updated. Though they say it’s furnished like the deck of a yacht, it’s all kid friendly. You know I’m not big on reviewing restaurants. It’s probably the location, right on the water next to the yachts, that makes me love A&O so much. 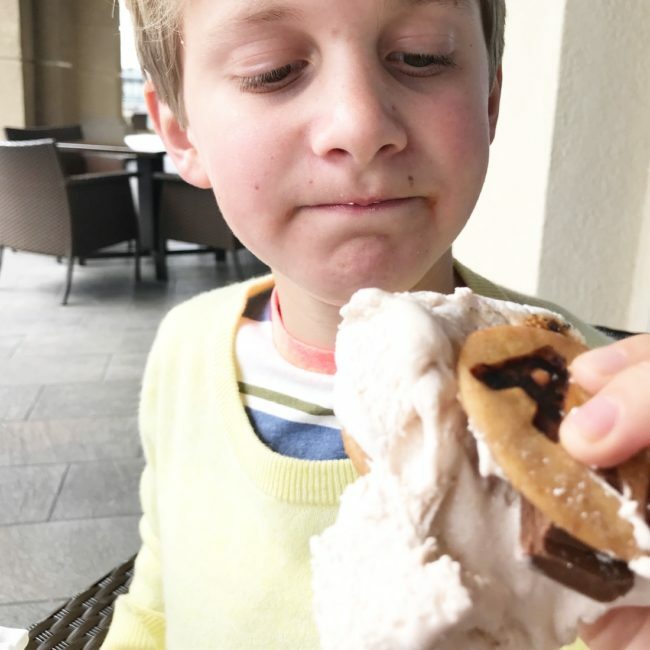 They have ample outdoor seating, fireplaces and heat lamps for when it drops below 70 degrees (Californians have no idea what cold actually is) and most importantly, they have s’mores on the menu. 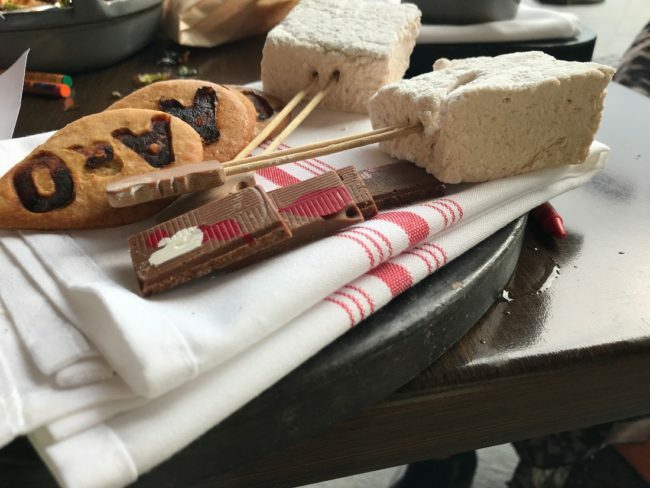 They bring a kit to your table and you roast the marshmallows yourself over a little brick. If you don’t feel like leaving your room to eat, and I almost never do, room service is quick and delicious. They offer a kids menu as well. I won’t lie, I have been known to order myself a pb&j on many occasions. 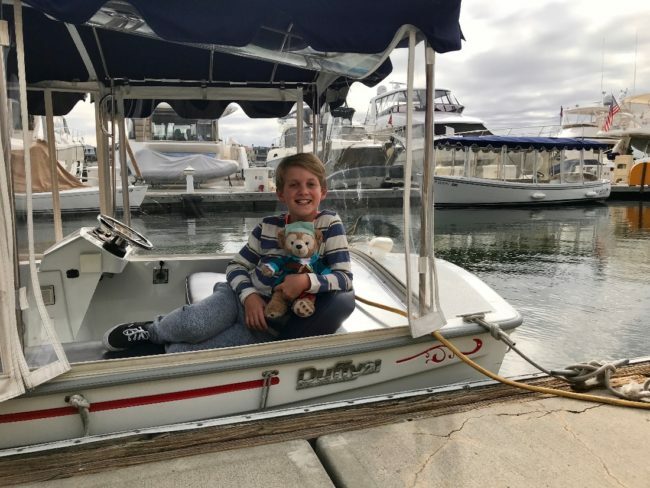 If you don’t know what a Duffy boat is, by the time you finish reading this, you will be as obsessed as I am. These little electric boats are like golf carts, but for water. 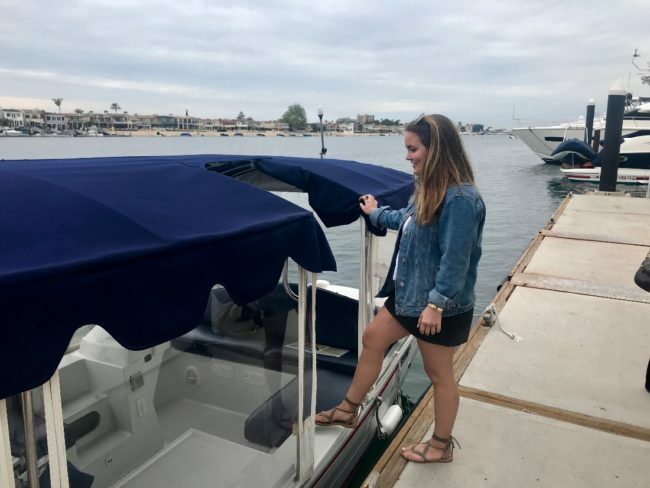 As long as you are over 18 and have a driver’s license you can rent one for a few hours and give yourself a little tour of Newport Bay. And yes, you can bring wine, they seat about twelve people, so bring some friends. If it was sunset and I had a sassy hat, I’d like to think I’d look like this. 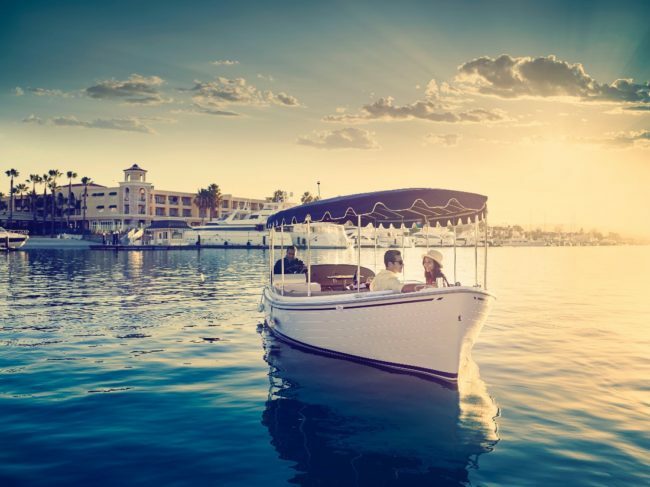 Newport is the largest recreational harbor in the world and home to 9,000 vessels from mega yachts, to the ridiculously charming Duffy boats.They are literally the bathtub play toys of the harbor. If you’d rather not drive yourself around, I suggest hiring Carolyn (the resort can help you). 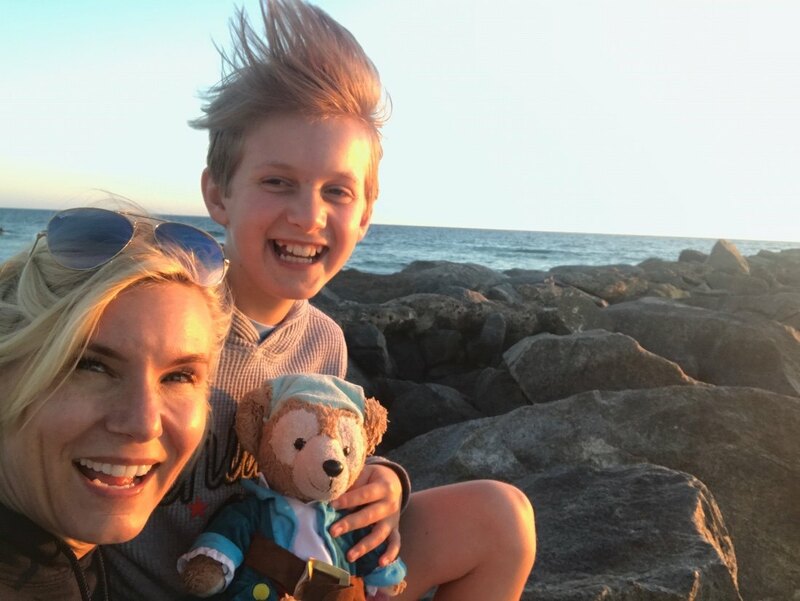 She is the world’s best guide to all things Newport. 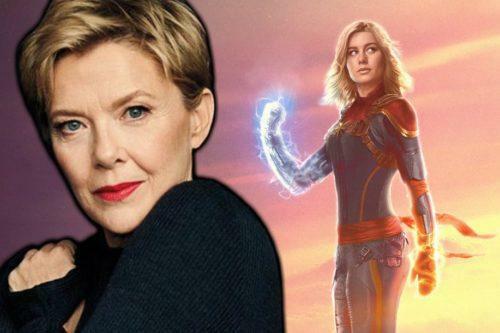 It wasn’t surprising to learn that her background included time working at Disney. 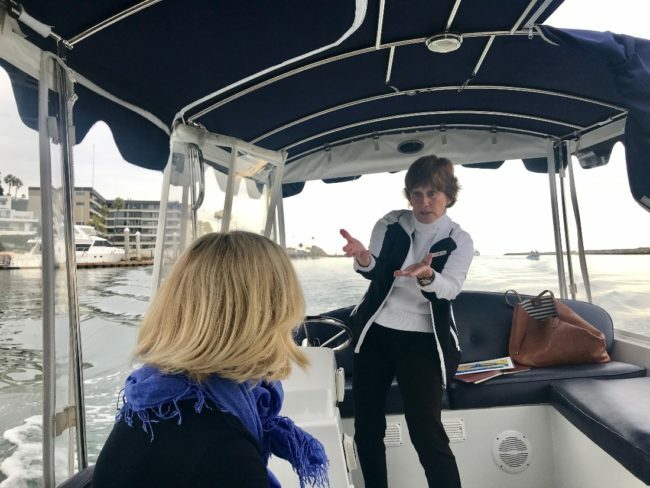 She told us which houses had been owned by Hollywood stars over the years and gave us the history on John Wayne’s boat docked in the harbor (it was a mine sweeper in World War II and is now in the charter fleet). Newport Beach was a playground for such Hollywood stars as Humphrey Bogart who wooed Lauren Bacall on the yacht he kept berthed in Newport Bay. If you were to drive past the resort, the outer facade would never clue you in to how fabulous the property is, especially the spa. 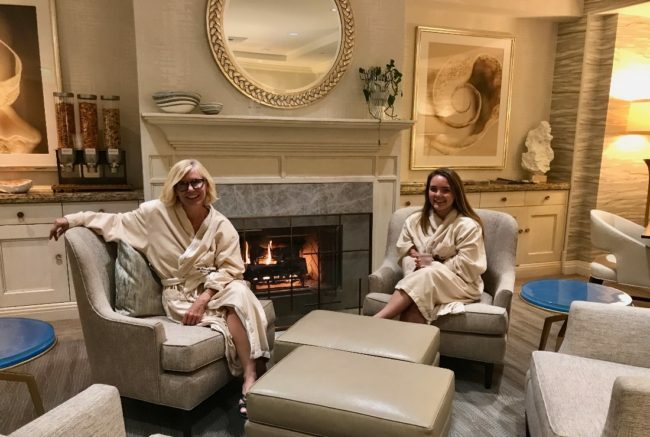 The resort encompasses the Balboa Bay Club which has been around since the 1940’s and the spa entrance is behind a rather conference room looking desk. 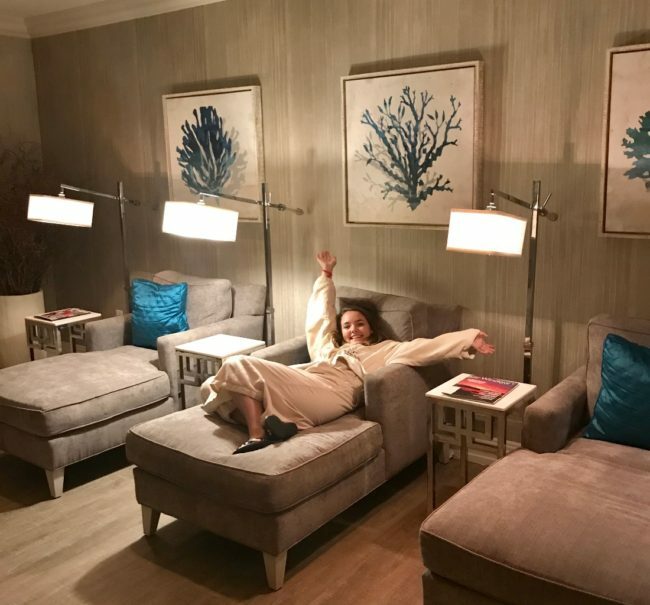 And then, voila, not one but two stunning relaxation rooms and amazing service. You can have lunch delivered and never get out of your robe if you choose. Macie is 18 now so she’s allowed in the spas with me. There’s also a great fitness room, or so I saw, I never used it. Disneyland is just 14 miles away (Keaton does not know this). 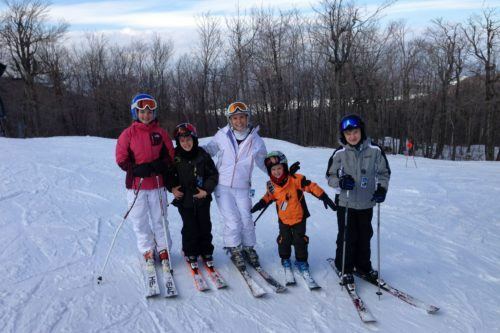 You can buy tickets online through the resort and hit the park for a day or just an afternoon. As a long time Disney World visitor I am continually surprised at how much easier it is to visit Disneyland for a quick trip. 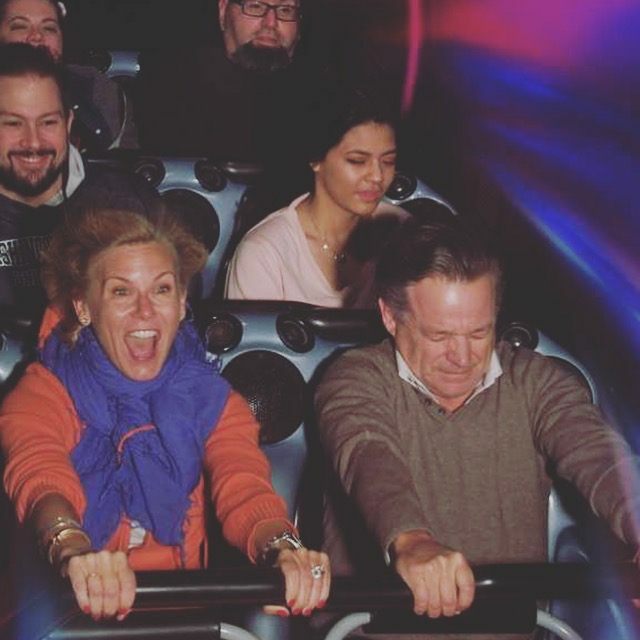 For our 20th wedding anniversary I treated Mr. LTM to a Disneyland trip. One of us enjoyed it more than the other. 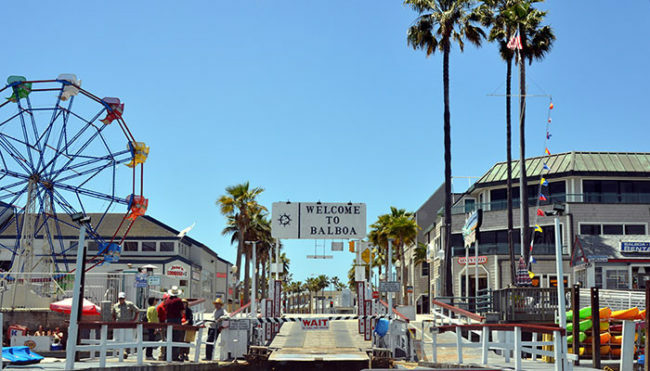 If you don’t have the energy, or time, for a Disney trip, The Balboa Fun Zone is one of Southern California’s oldest and last great coastal amusement areas. Have a Duffy boat drop you off and take a ride on the waterfront Ferris Wheel, play games in the arcade or tour the nautical museum. There are 159 guest rooms, including ten suites. Three room categories are based on view/location (Standard, Courtyard, Bay View). We stayed in a Bay View room, though not a suite, there was plenty of space. I like the first floor rooms, your room opens to the grass and the marina like it’s your front yard. Obviously, if you have wandering toddlers, maybe not your first choice. The hotel has cribs and pack and plays and most importantly for families, they also offer roll away beds. 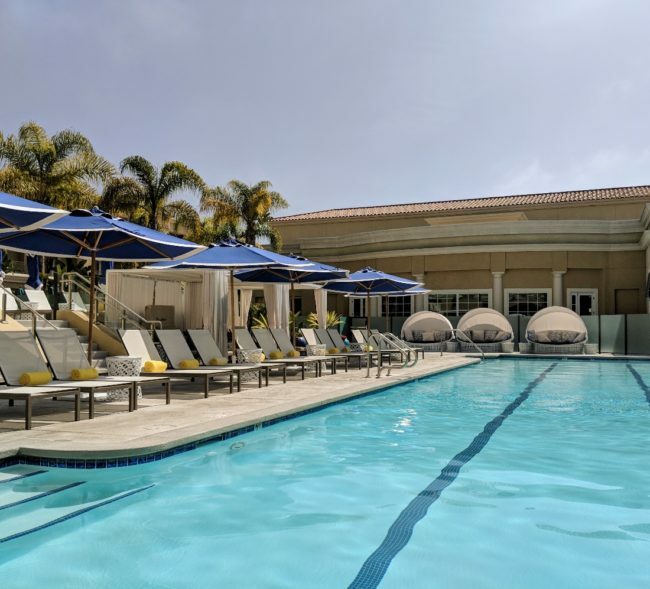 Bay View rooms start at around $600 in the summer, though they offer specials frequently, always check their website to book – Balboa Bay Resort. I posted the photo below on social media titled “View From My Bed”. And it was. Guests can rent kayaks and paddle board from the resort, because the harbor is strictly recreational there is a top speed of 5 knots for motor boats. This makes it a safe and easy place to learn how to paddle board. 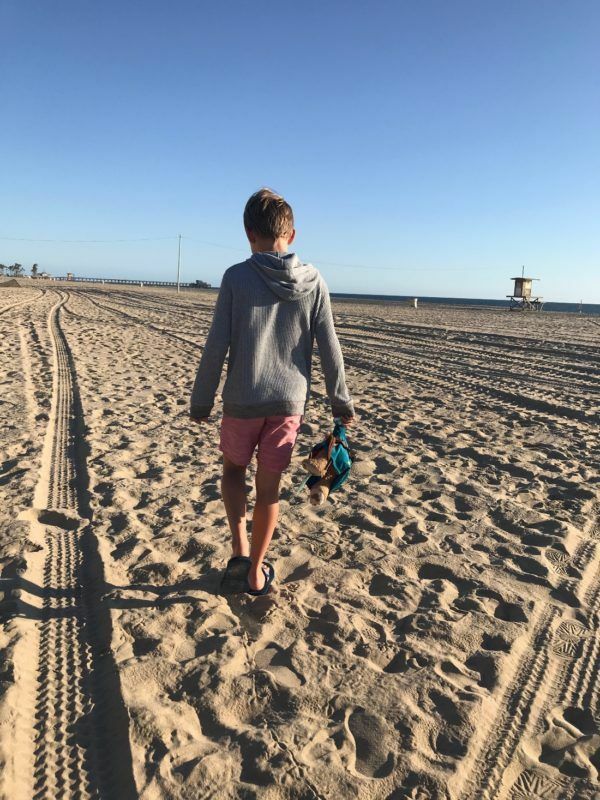 I was a guest of Balboa Bay Resort for one night, the other nights were fully paid for, and the hotel passed the picky teen, little boy and business executive test. You won’t regret your stay.